Color Cloud Hammocks loves campuses! As the semester winds down toward summer break, here’s your chance to win a Color Cloud Hammock of your choice. You can use it to cram for finals, nap between class, or as the pickup line for that classmate you’ve been sitting next to all year but haven’t worked up the courage to ask out! 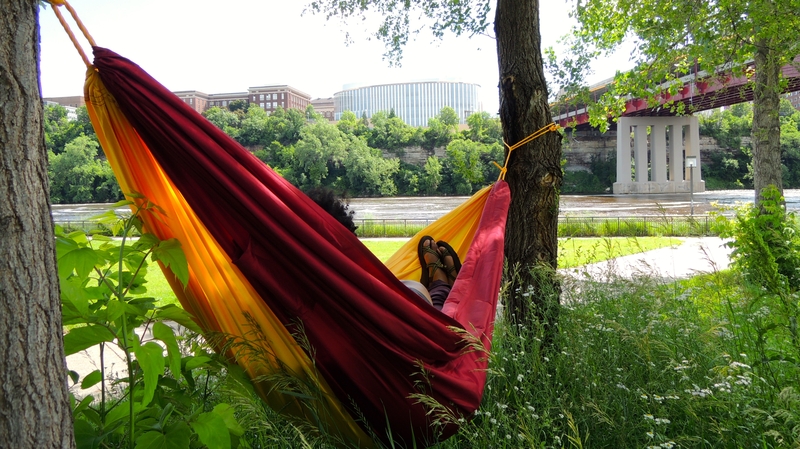 1) To play, simply snap a picture of a place on campus where you’d like to hang out in a Color Cloud Hammock and submit it to the contest at floating@colorcloudhammocks.com. 2) Color Cloud Hammocks will post the contest gallery on our Facebook page on Thursday, May 5. NOTE: We will continue to accept and post submitted photos to the gallery until May 8! 3) To win, collect the most votes (likes) for your “hang out spot” photo by Sunday, May 8. The winner will be announced on Monday, May 9. The Color Cloud Hammocks “Show Us Where You’d Hammock” Contest is open to any US resident. One entry per person. No purchase necessary to win. Purchase does not enhance chance of winning. Void where prohibited. The contest opens on Thursday, April 28, at 12:01 AM CST and closes on Sunday, May 8, at 11:59 PM CST. Entry photographs must be submitted to floating@colorcloudhammocks.com for addition to the #ColorCloudonCampus contest gallery on Facebook. Entries may be submitted even after voting has begun. The photograph that receives the most “likes” will be announced on Monday, May 9 and the winner notified via email to select their Color Cloud Hammock of choice for shipment to the US address of their choice. The contest is in no way sponsored, endorsed or administered by, or associated with, Facebook.